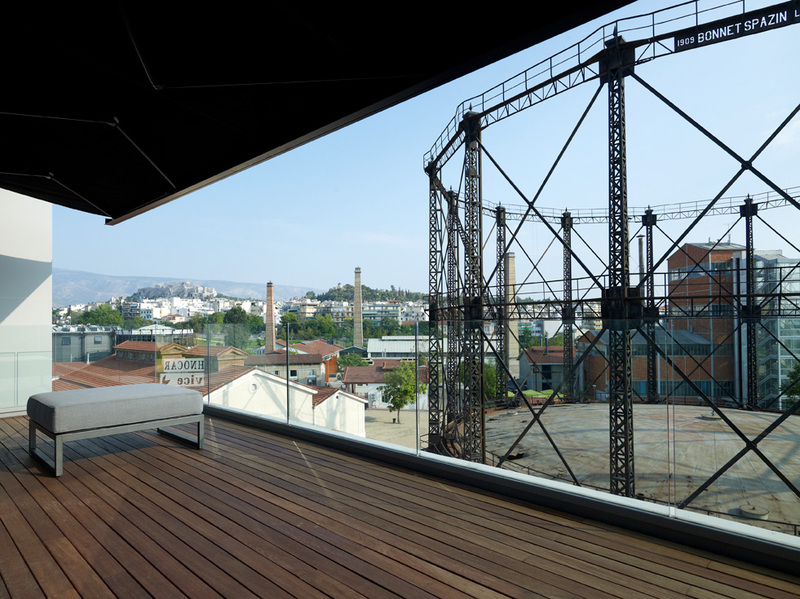 Since all industrial and gas plant operation ceased, and the regeneration-creation of Technopolis marked the beginning of a new era, Gazi became a cultural and art center in the city of Athens. 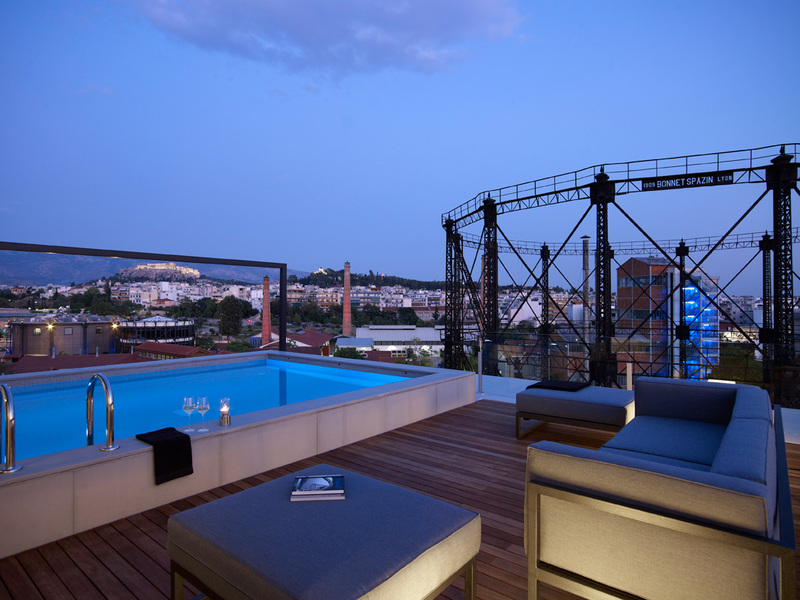 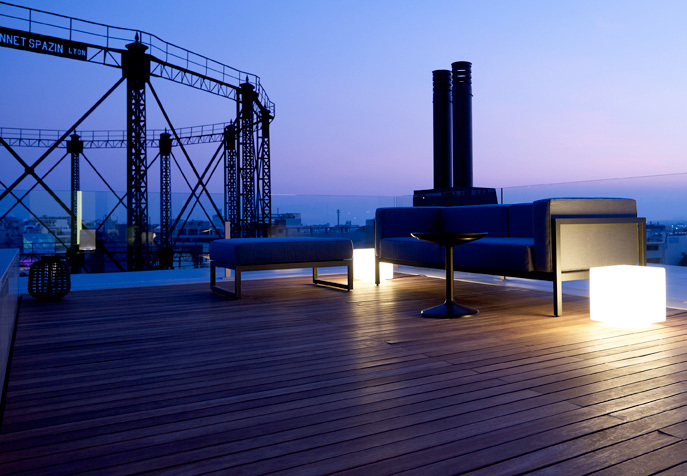 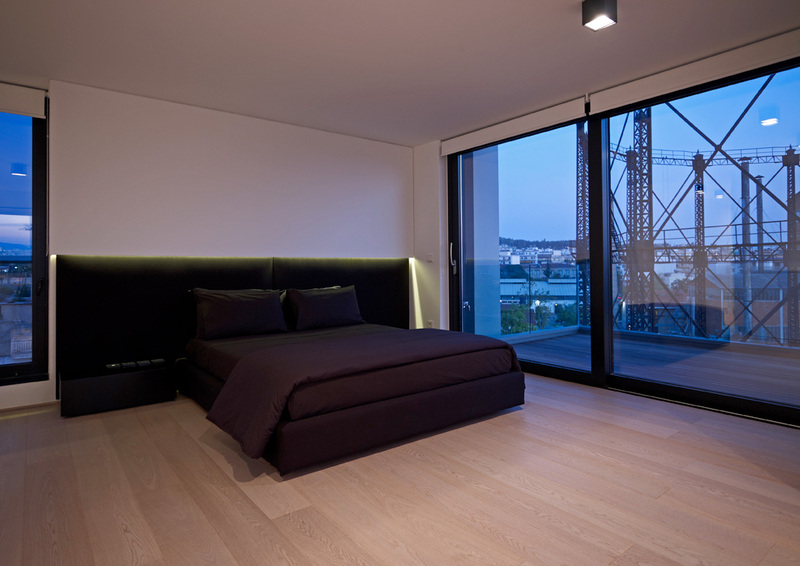 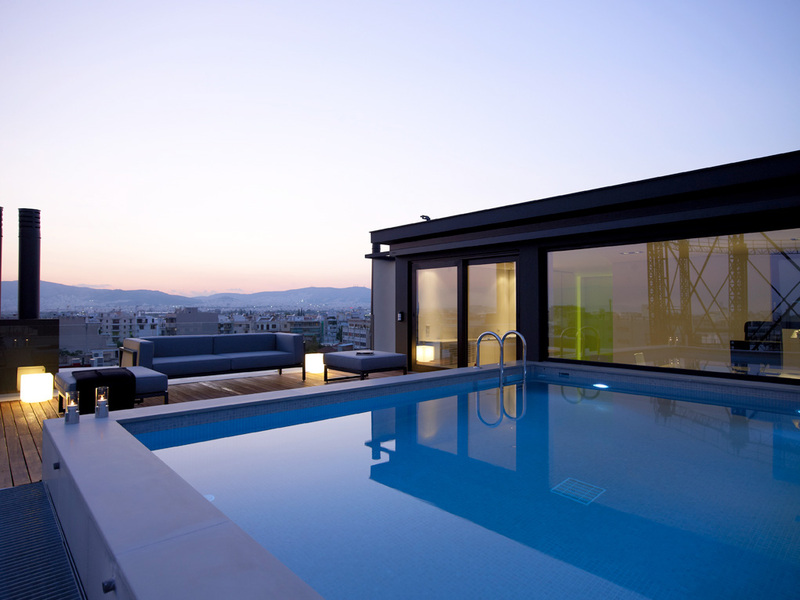 Urban Lofts are located at the intersection of Voutadon and Iakhou streets, adjacent to the complex of Technopolis. 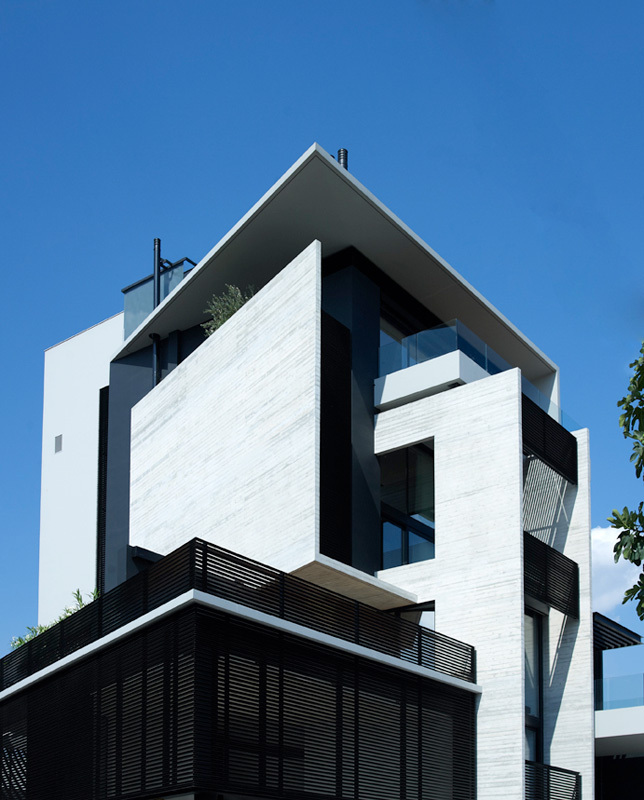 The building facades are formed by concrete elements and black metal blinds adding an exclusive urban chic character to its architecture. 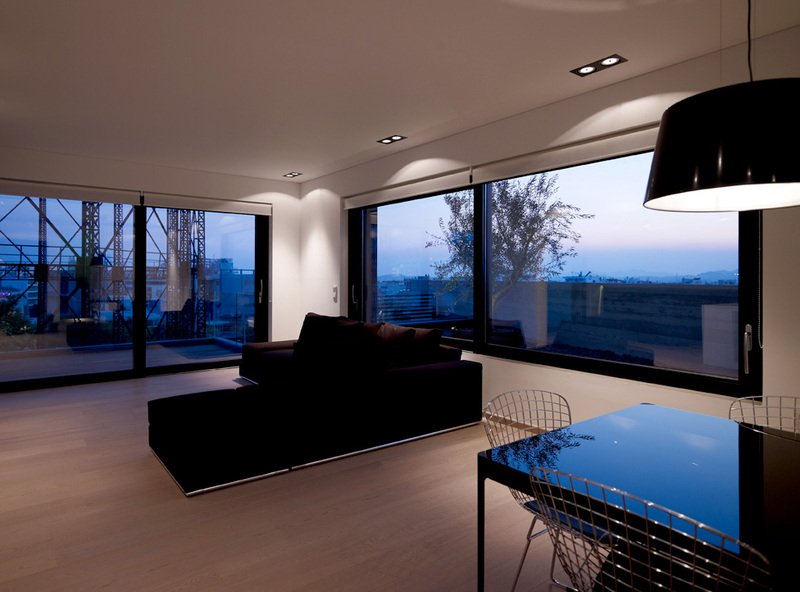 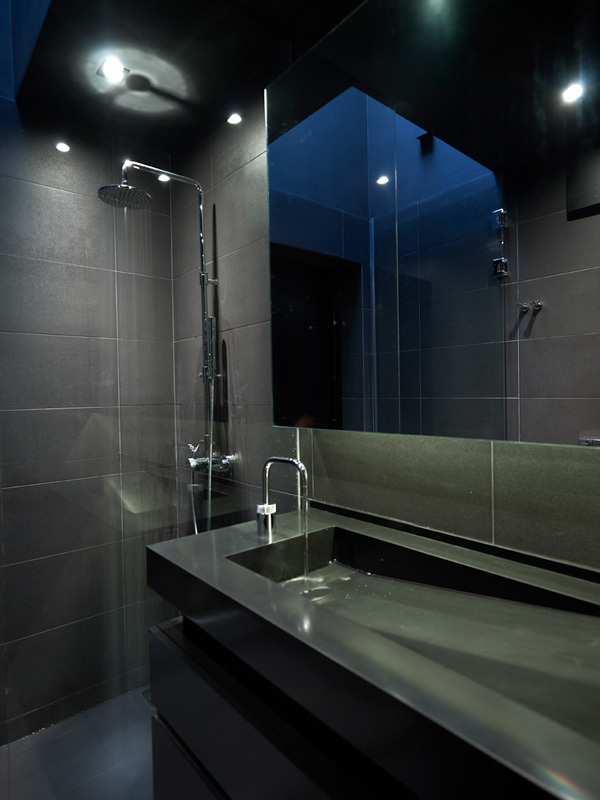 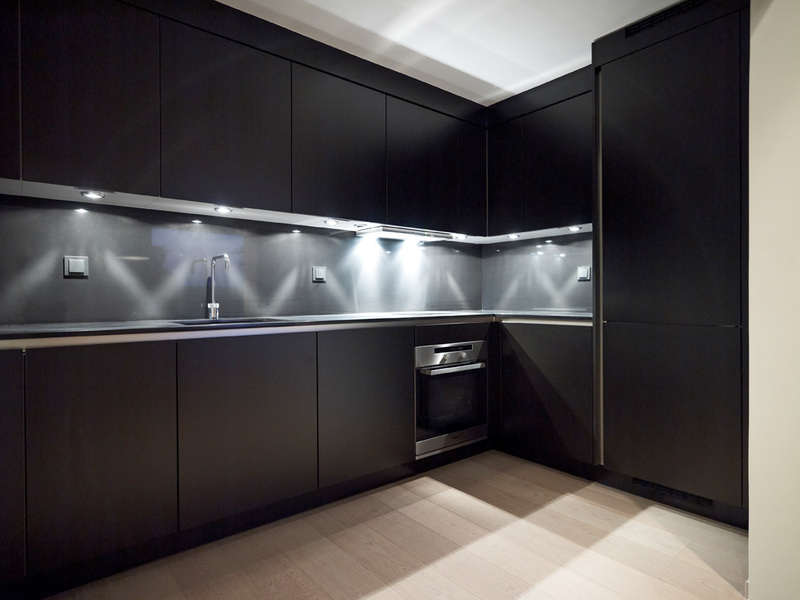 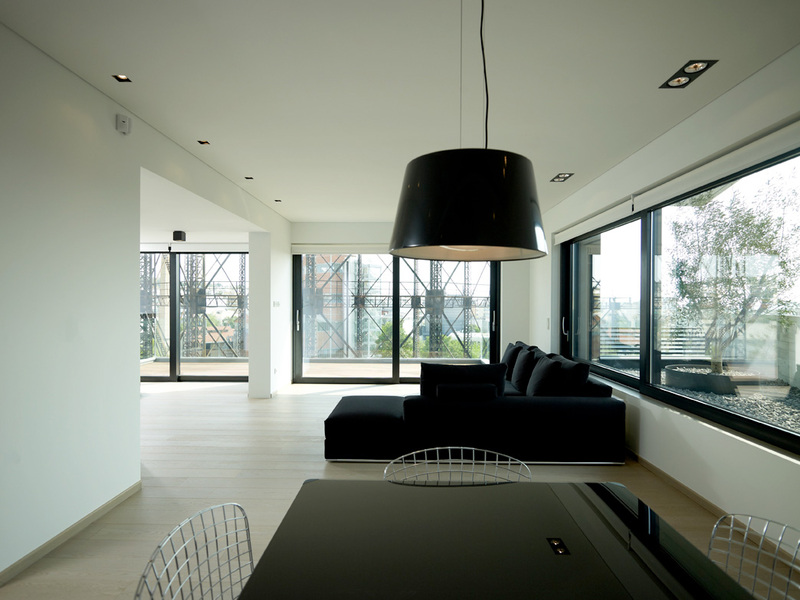 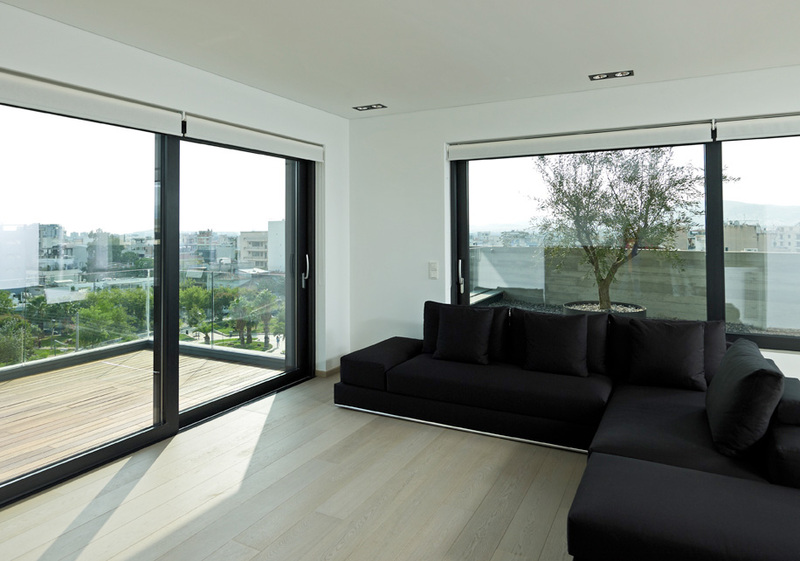 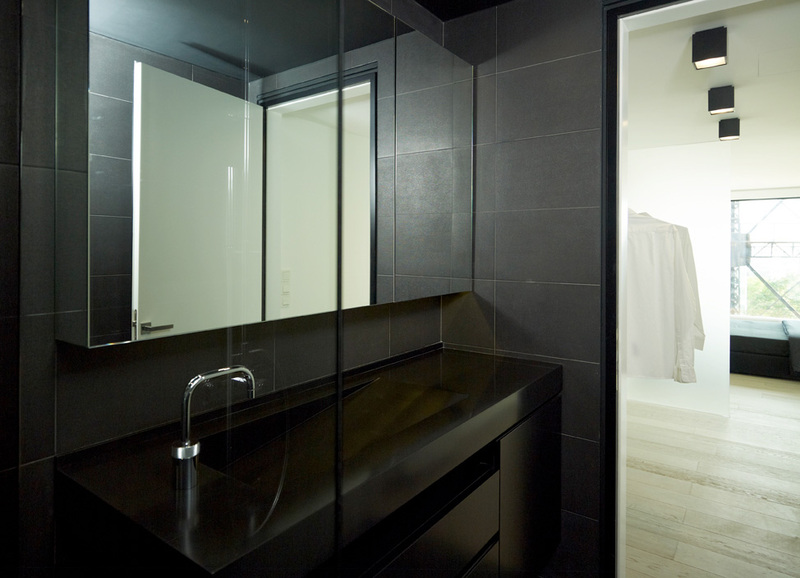 The black color was chosen to form a common ground for the decoration (furnishing and fabrics) of this two level appartment. 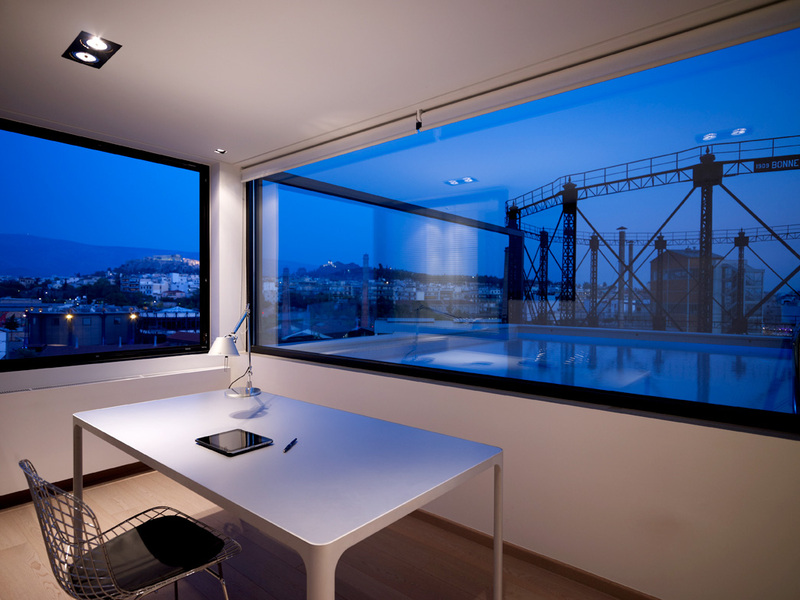 In contrast, walls and laquered constructions were painted white to reflect the vivid Athens daylight.This combination led to a strict geometrical but cozy living environment.